AdventHealth Hospice Care Central Florida is leading a massive effort to highlight the importance of advance healthcare decision-making—an effort that has culminated in the formal designation of April 16 as National Healthcare Decisions Day (NHDD). As a participating organization, AdventHealth Hospice Care Central Florida is providing information and tools for the public to talk about their wishes with family, friends and healthcare providers, and execute written advance directives (healthcare power of attorney and living will) in accordance with Florida state laws. These advance directives are available in one document called Five Wishes. This booklet is written in everyday language, making easy to understand and to complete. It covers personal, spiritual, medical and legal wishes and allows the family or caregiver to know exactly what is wanted, relieving them from the difficult position of guessing. 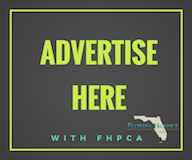 Specifically, on April 16, from 6:00 pm to 7:30pm, AdventHealth Hospice Care is welcoming the public to a free Advance Care Planning Workshop at 480 West Central Parkway in Altamonte Springs with information on how to complete your advance directive forms. Each participant will receive a free copy of Five Wishes and a light dinner will be served. Seating is limited, and reservations can be made by calling 407-379-0177 or emailing FH.HOTC.Info@nullAdventHealth.com. Telling your loved ones how you want to be cared for is one of the greatest gifts you can give. For more information about National Healthcare Decision Day, please visit www.nhdd.org.